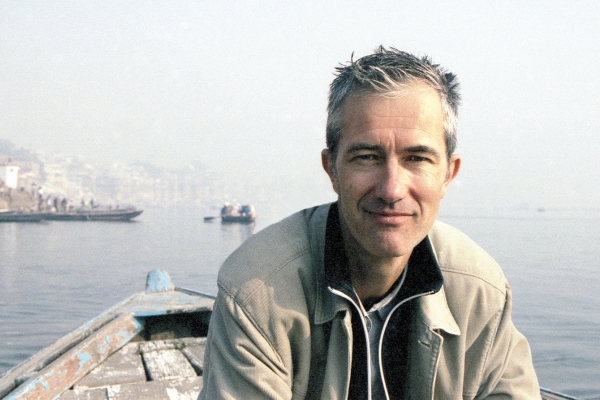 A slim 240 pages, Geoff Dyer's Zona is a perversely ambitious book. 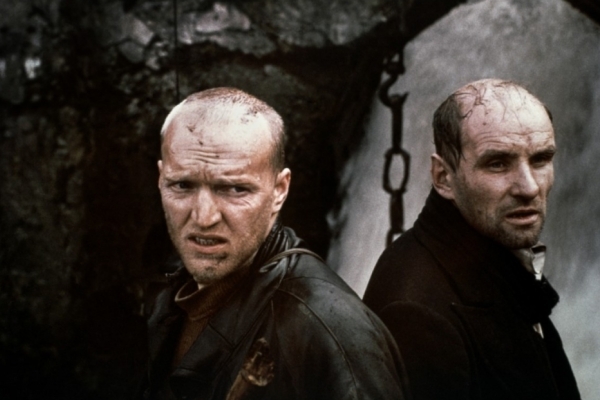 A retelling of Andrei Tarkovsky's 1979 arthouse sci-fi classic Stalker, Zona is a deeply felt aesthetic manifesto masquerading as a lark. Characteristically, Dyer has submerged the book's ambitions in meandering prose, masking its symmetries with a veneer of aimlessness. Dyer is a real brat. His brattiness is usually the first thing people notice when reading him. James Wood has written of his "comic English whining," and Jenny Turner has said that his "spoilt-brat whine" "could only be English and from that postwar, post-punk generation." It's not just that Dyer is a whiner; the subjects he whines about are absurd. Mostly, they relate to what he calls in Zona the "life of the writer, this life where you spend your time doing pretty much what you want." Dyer writes about getting stoned, drinking, traveling to exotic locations, going to Burning Man, getting laid. His most consistent subject is the boredom and anxiety he experiences as a result of this lifestyle, a lifestyle most of us find just unbearably enviable, even taking into account boredom and anxiety. But Dyer is a charmer, too; this is usually the second thing people notice when reading him. His writing is suave: his rhythms delicate; his sense of humor delicious; his eye for detail outrageous. His books are animated, in part, by the vacillation they inspire in the reader between extremes of revulsion and affection. Most of Dyer's contemporaries, especially in America, tend to play the part of the ultimate nerd in their writing, presenting themselves as pathetic, incompetent, and brainy hermits in desperate need of the reader's approval. Dyer more often comes off as typical cool kid: you don't like him, necessarily, because of all the jealousy he inspires, but then you also want to be around him, to hear what he has to say, to bask in the glow of his inventiveness. Were this the long and the short of Dyer, he would be pretty unremarkable. There are many writers who are likable jerks; the profession—which requires both an insatiable desire for attention and an ability to hold it—seems to draw these sorts of people. Dyer is more than this. His ability to trace the often bizarre tangents of his own mind with such exacting prose awakens in the reader a keen appreciation for what Jane Austen called "the velocity of thought." His dedication to documenting his loafing around becomes the pretense for a unique brand of inverted minimalism: he talks about everything, but is never doing much of anything, and so the real subject of his writing always ends up being consciousness itself. From the infinite edge we could see people in the pools below, lying on rocks, swimming, many of whom had no inkling of what was up here... It was like being a God up there. Except that we knew that other people had ascended to the next level of the falls and were, in all probability, looking down on us from another, higher infinite edge. This led, in turn, to an irresistible conclusion about the gods of Mount Olympus, namely that they had their gods too. For all their massed omniscience and omnipotence they almost certainly felt that over Olympus there towered a level of superelevation from which their comings and goings were observed with humorous and sadistic indifference; that they were no more than playthings, the stars' tennis balls, knocked hither and thither. And from this it followed that the gods themselves lost at Ping-Pong, choked on the big points, and suffered from back trouble and the thousands of other aches and pains—pulled muscles, sprained ankles, colds—that the flesh is heir to. The movement in this passage—from an elated feeling of superiority to one of jealousy to a final reconciliation with human frailty—is memorable because it's funny, and it's funny by virtue of Dyer's elongation of his own strange free associations. He renders these associations in the language of traditional logic ("This led, in turn," "from this it followed"), which is how associations tend to feel: more inevitable than actually logical conclusions: "irresistible," as he puts it. One of the reasons Dyer wants to write about Tarkovsky is that the two artists share a central interest in dilating time to renew the reader or viewer's awareness of the lineaments of consciousness. When Dyer describes the fictional "zone" in Stalker, he is really describing Tarkovsky's art, and his own: "We are in another world that is no more than this world perceived with unprecedented attentiveness." But even while their goals are similar—even while the specific aesthetic effect they are aiming at is similar—the two artists have opposite methods: Tarkovsky's focused meditation versus Dyer's manic digressions. This difference could be phrased in terms of temperament: Tarkovsky is ascetic, Dyer indulgent. Or you could think of the difference in terms of will: Tarkovsky is perpetually asserting his will, Dyer letting his waiver. Tarkovsky's tracking shots are a matter of deliberation; he takes the camera and viewer along a predetermined path. In Dyer's digressions, it often seems more as if Dyer is the one being taken along a path. Which is related to the fact that Tarkovsky made Stalker and Dyer is writing about it, chasing it around, seeing where it might lead him. The differences between the two artists are as important to the meaning of Zona as their similarities. The book is partly an homage, but it's also partly an Oedipal battle. 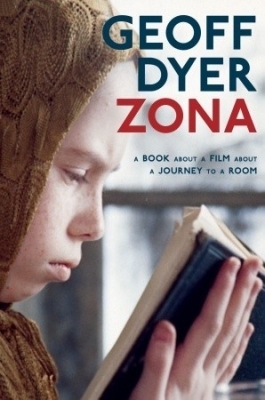 Dyer wants to prove that his indulgent discursions can be as meaningful and as aesthetically rewarding as Tarkovsky's monkish concentration. In a letter of 1852 Flaubert announced his desire to write "a book about nothing, a book dependent on nothing external, which would be held together by the internal strength of its style, just as the earth, suspended in the void, depends on nothing external for its support; a book which would have almost no subject, or at least in which the subject would be almost invisible, if such a thing is possible." Certain kinds of writers, certain types of novelists, are reluctant to engage in anything that distracts them from their own work. Commentary, for them, is a distraction, of secondary or no importance. But there are other writers—and I don't mean straight-down-the-line critics—for whom commentary is absolutely central to their own creative project, who insist that at some level commentary can turn out to be every bit as original as the primary work of the novelist. Now Dyer is a believer in Flaubert's cult of form. He praises Tarkovsky for "an absolute freedom from cliché." He would agree with Flaubert's statement that "style in itself" can be "an absolute manner of seeing things." But Flaubert's desire to write "a book dependent on nothing external" proved, famously, to be life-threateningly difficult. Dyer will not suffer agonies of self-denial to discover proper techniques. He will not sit digging and digging for material; he'll find the marble to build his temple by wandering the landscape stoned, distracted, jazzed on espresso, or he will build no temple at all. This is a serious worry, which he mentions all the time: that he will not be able to write. But he would rather live life and risk not writing than the other way around. Writers who are "reluctant to engage in anything that distracts them from their own work" miss the point of writing, which is to enhance life, not replace it. Denying the aesthetic in life to pursue it more fully in art is stupid. It's stupid to torture yourself trying to come up with "a book about nothing"; if inspiration is lacking, just start redescribing some other work of art, and it'll lead you back to nothing. If you are a good enough writer, you always end up writing about nothing. Dyer is this kind of writer, and this is the victory of Zona. Owing to an unlucky turn of events at school I seemed, in the sixth form, to have no friends. I had no one to go to the pub with and my mum said that my dad would go out for a drink with me, an idea I knew would not appeal to him as it would have involved spending money, which he hated, and going to the pub, which he never liked. All his life, fathers and artist-fathers have been impressing on Dyer the necessity of refusal. Dyer will have none of it. In Portrait of the Artist as a Young Man, James Joyce writes that the "arms" of the artist are "silence, exile, and cunning." For Dyer, cunning is the artist's weapon, but it's what you use precisely to avoid silence and exile. Silence and exile describe his childhood in Cheltenham, a traumatic dullness that he used writing to escape from, and that he is always using writing to return to. Dyer's rejection of self-denial is comprehensive, his stubborn allegiance to pleasure—in life always as much as art—unflagging. He will arrive at aesthetic renewal through digression just as he will manage to make money while buying as many choc-ices as he pleases; otherwise, he will simply do without art or money. But he gets both art and money. Zona is loose and improvisatory and all over the place, but as alive as Stalker with concentrated vibrations of mind. And it's been selling quite well. Like I said, Dyer is a real brat.